All occupants of the Trade Fair site are to vacate the premises by the end of this year; 2018. This management says is to allow for work to begin on site. 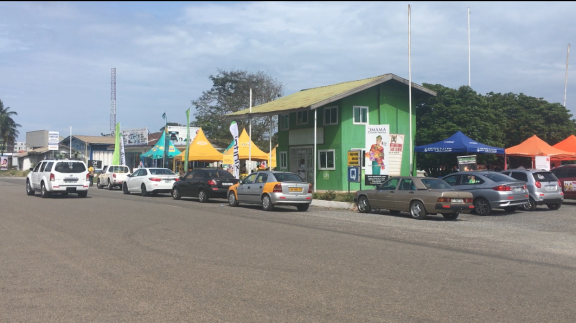 Trade fair has for some time now stated their intentions to revamp the facility to restore the once vibrant trading hub. Chief Executive Officer of the Trade Fair Centre, Dr. Agnes Adu tells Citi Business News the evacuation of the tenants is necessary for the new development. The occupants have been sensitized on the fact that the facility has to be broken down because the current makeshift structures do not fit an international trade fair site. “So over the last few years we have actually notified a lot of the tenants here. Tenancy here is only temporary, so as at last year, we notified the tenants that at the end of the tenancy this year, they will have to make room so that we can actually rebuild the site” she stated. Dr. Agnes Adu further hinted that both local and foreign investors have shown interest in partnering the entity to develop and revamp the facility. Although she did not give details as to who the investors are, she assured that the board will come out with those information soon. The trade fair had also been battling with power supply issues and only managed to settle that this year. Dr Agnes Adu spoke to Citi Business News during the press launch of the trade fair grand sales at the premises. The event which begun on the 27th of September will last for is expected to last for 12 days. Some lined up activities include free health screening, grand sales, kids play ground, among others. Dr. Adu believes the needed support will rake in the necessary revenue for trade fair.